As parents, it is our expectation that our children will become readers. After all, reading is fundamental to the rest of our learning in school and university. As literate adults, it is easy to think of reading as the simple act of ‘sounding out’ words because we’ve been able to read for as long as we can remember. To the contrary, reading in English is a complex process that involves many aspects. Did you know that unlike some other languages, at least 50% of the English language is not phonetic? In other words, 50% of English words cannot be sounded-out based on learning the sounds of the alphabet. We have many rules in English, and many exceptions to those rules. Try reading the following list of words, for example: through, cough, though, bough, slough, hiccough. Not an easy task! Unlike learning to walk and to talk, children need direct instruction to become effective readers. They need to be motivated to develop the ability to identify words quickly (fluently) in sequence and understand the author’s message. So how do we teach these things? How can we ensure the success of our future readers? The best thing parents can do is to read to and talk about stories with their children. Picture books contain new and interesting words that develop a child’s vocabulary; this growing vocabulary will help them comprehend other stories they read. Think about how important vocabulary and experience are – even if a child can figure out the words on a page, if he doesn’t understand them, what’s the point of reading? It is to comprehend what is written. As parents, we rely on teachers to take care of the actual teaching of reading. However, formal literacy instruction happens predominantly in Kindergarten and Year 1, and your pre-schooler may already show a keen interest in learning to read. Eager Readers bridges the literacy gap between pre-school and formal schooling. 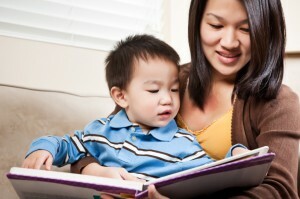 At Eager Readers, we introduce children to all aspects of the reading process. We don’t just teach the skills for reading, we help develop the effective reader. These are the things you can expect your child to learn at Eager Readers.